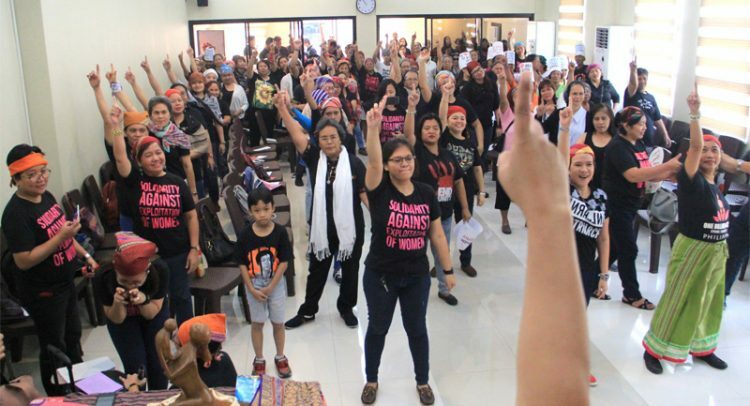 Quezon City – Through dance, body movements, and poems, the Ecumenical Women’s Forum (EWF) and the National Council of Churches in the Philippines (NCCP) join the annual global campaign to end violence against women – One Billion Rising. The Ecumenical women from various churches and organizations gather up to affirm and celebrate women’s rights, and women’s indispensable contribution to society, denouncing gender-based violence and oppression. 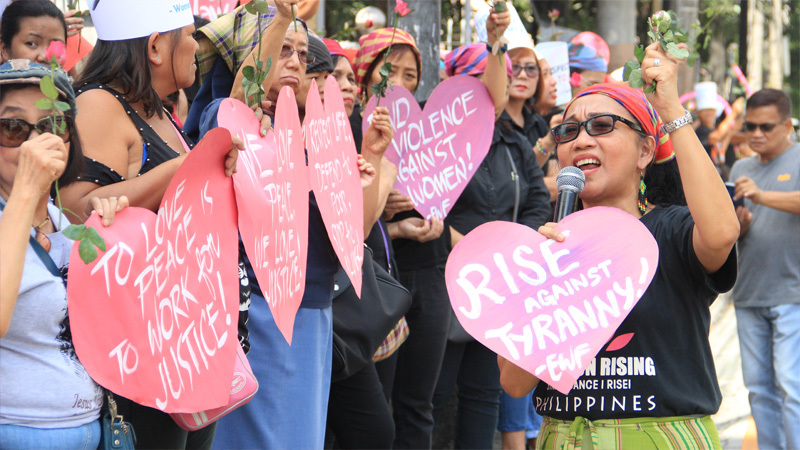 The Ecumenical One Billion Rising is happening on valentine’s day where women from different faith communities collectively root their love for truth, justice and peace, and together, rise against tyranny. This gathering aims to call out misogynistic and anti-women policies of this government. “As women of faith, we will continue to affirm life by defending it, crying and calling out the many attacks that are being experienced by our people. We do it by shaking (resisting) the systemic curtailment of the rights of the women, and the rest of the poor majority. This is our solidarious act to the most vulnerable sectors of our communities,” said Ms. Minnie Anne Mata-Calub, the Acting General Secretary of the National Council of Churches in the Philippines. Human Rights is a women’s concern. “The proposed amendments to the HSA would further threaten our basic rights and civil liberties. What worries us is the effects of such ‘paranoia’ like invasion of privacy and how it is easy to be labeled as a ‘terrorist’ for merely supporting a just cause,” Ms. Bile added. While the legislation is not yet in effect, there had been several reported threats made to church people who are known for their peace and human rights advocacies. The NCCP registers its opposition to the proposed Prevention of Terrorism Act because it is an amendment of what we believe to be a fundamentally flawed law, the Human Security Act. The proposed legislation is actually much worse. 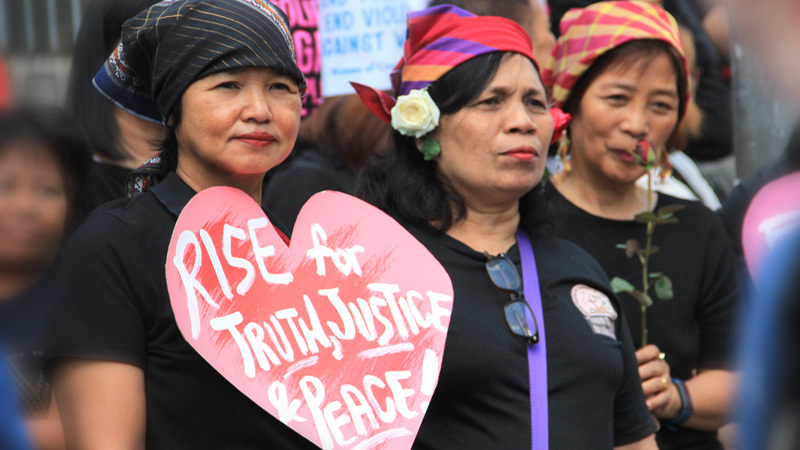 The Ecumenical Women’s Forum (EWF) and the National Council of Churches in the Philippines (NCCP) commit to end violence against women, by protecting civil liberties, rising against tyranny and pronouncing life for all.